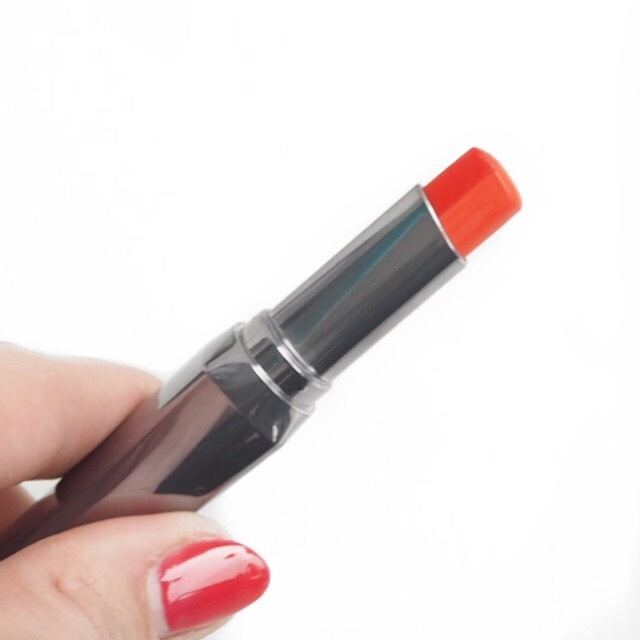 You all know by now how much I love lipstick; wearing it, trying out different shades and textures, discovering new favourites, and I always get a little excited about trying something new to the market. 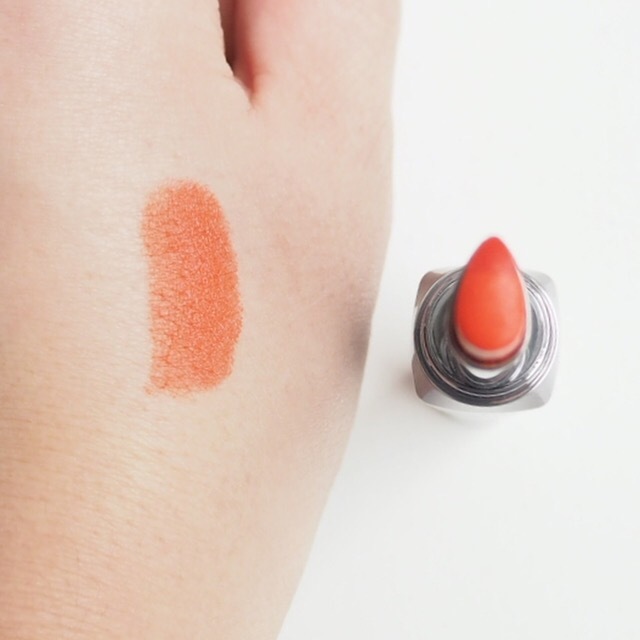 But it’s been a while since I’ve been this excited about a new lipstick release, and this disappointed. 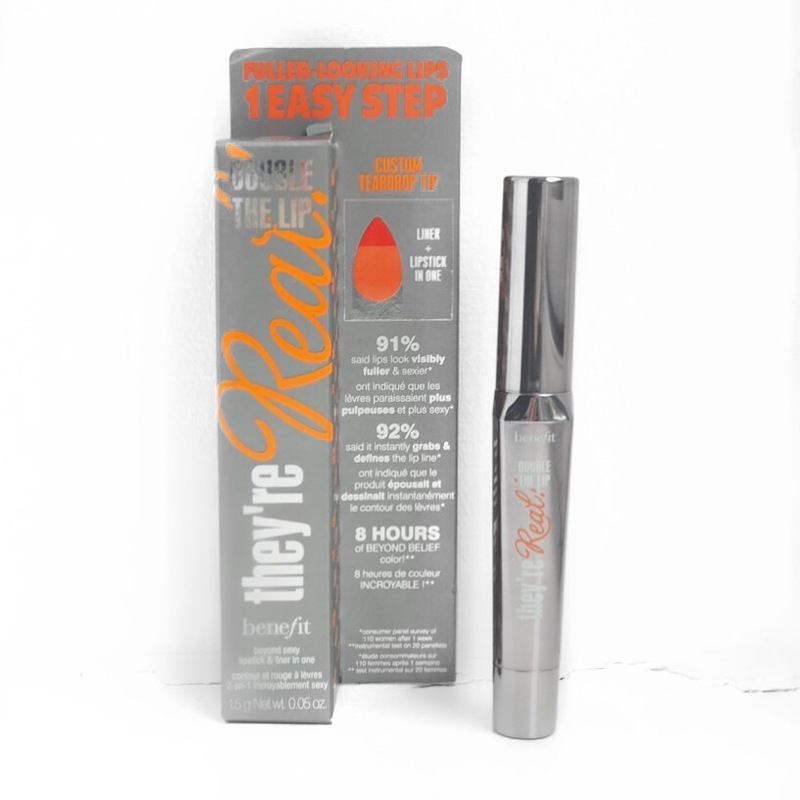 Today for the first time, I tried out the new They’re Real lipstick and lip liner duo lipsticks from Benefit and all I really have to say is that, it was a big disappointment. 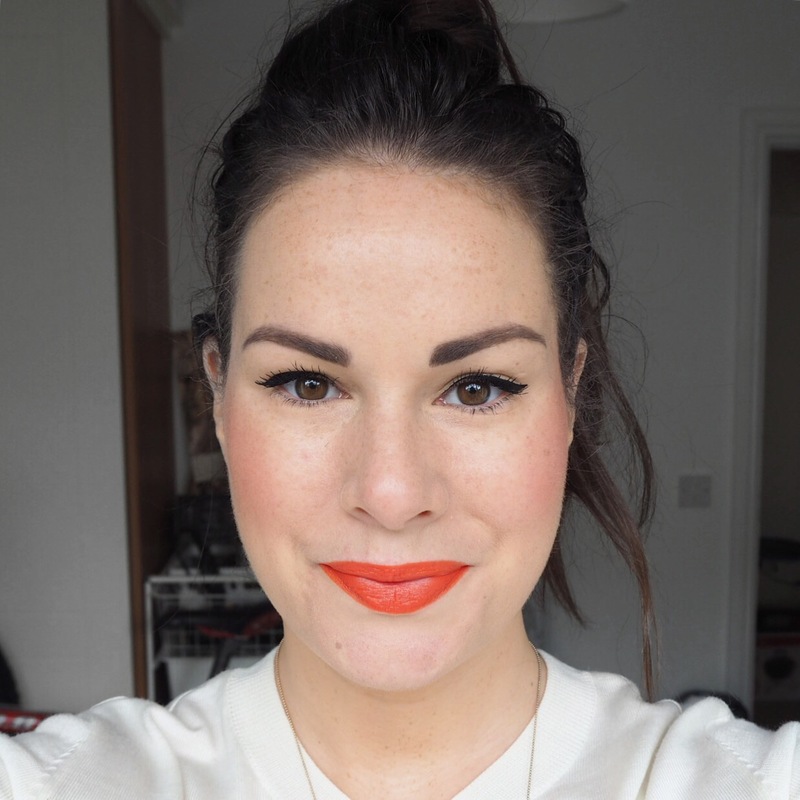 Duo lipsticks are big at the moment, and I’m a huge fan of Catrice’s Ombré range, but given that Benefit are usually so good at what they do, I had very high hopes for this. 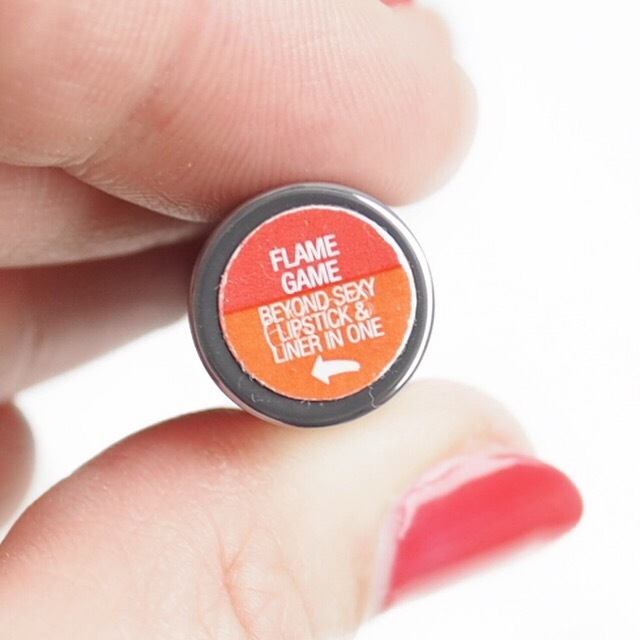 I chose the shade Flame Game as my first shade to try: it has a deep red liner and a vibrant orange lipstick, or so I thought. 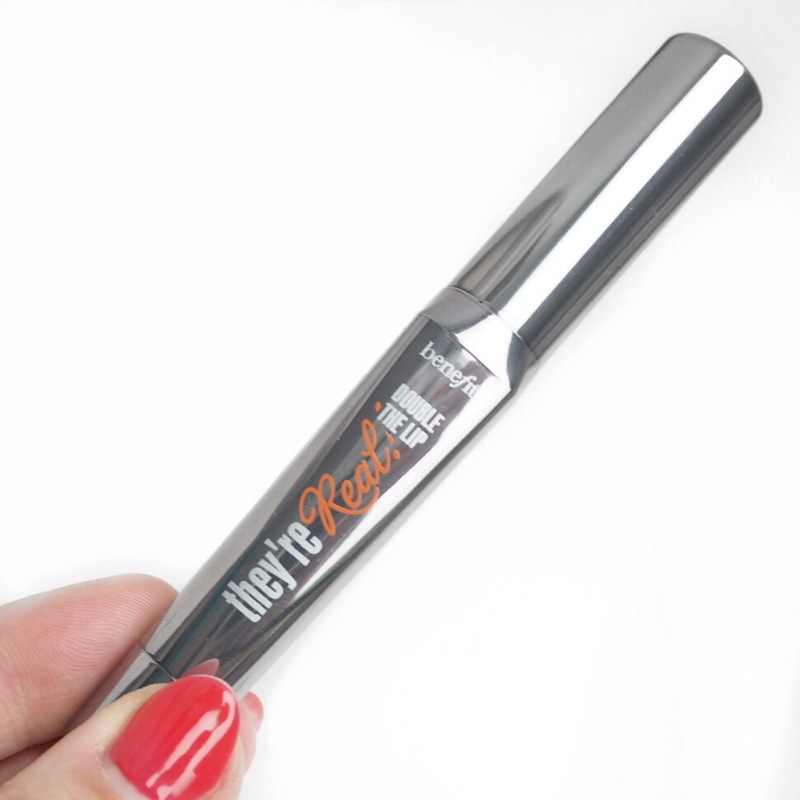 You’d be forgiven for thinking as such anyway because the shades look so fab on the stick. 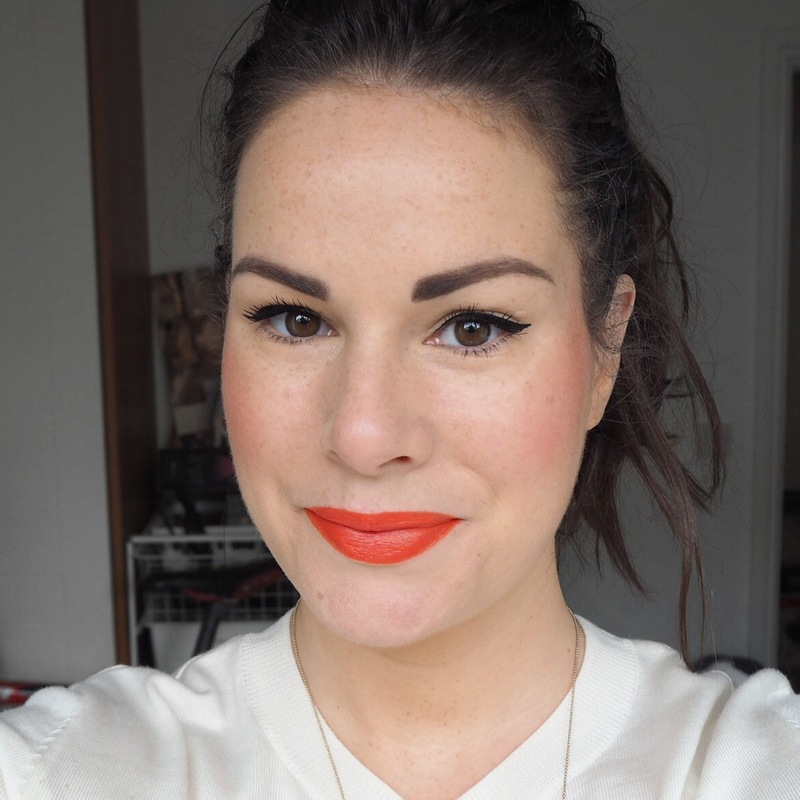 Sadly however, the lip liner was almost non existent when I applied it on my lips – I thought there would be an obvious difference between the red and orange, but there was nothing. And, the orange is not the vibrant pop I was hoping either. It’s a nice enough shade but to be honest, it just seemed a little dull compared to what I was expecting. As you can see from my pictures above, there really is no distinction between the two colours. The first one is the lipstick first applied, and the second photo, is the lipstick blended… Spot the difference?! You can’t really, can you? It’s been a long time since I have been so deeply underwhelmed by something and to be honest, I just feel so sad! 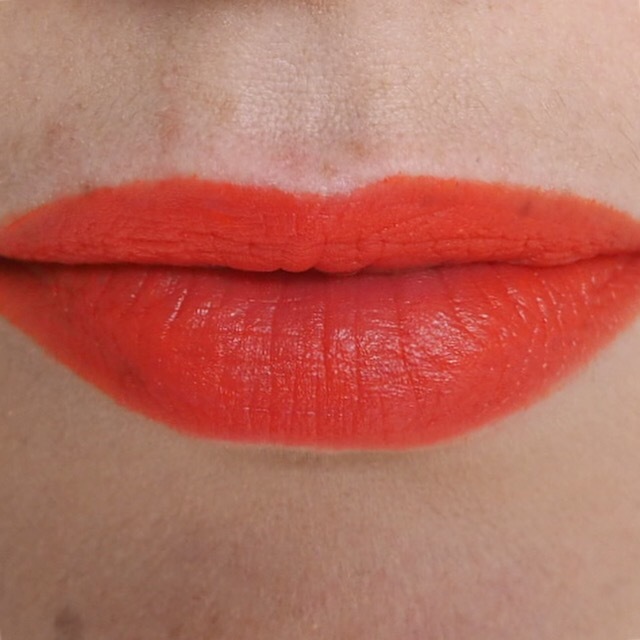 I had read lots of great reviews about these lipsticks, and although I did like the texture, the pigment didn’t last particularly long on my lips. 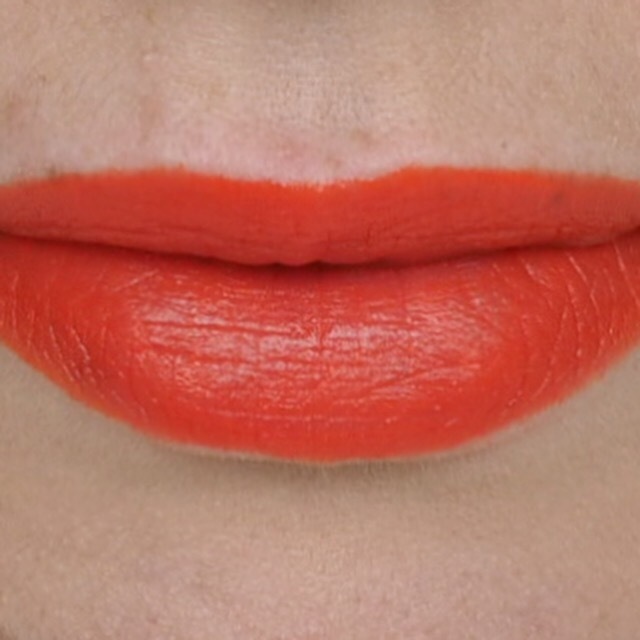 I suppose if I just bought an orange lipstick I wouldn’t feel so disappointed, but this definitely did not give a liner / lipstick duo look. I’m hoping that the other shades in the range will be a little better than this, I bought a set of four minis which is really handy, so I have some more to try. But, if I hadn’t bought the set, I really don’t think I’d be rushing to try these again. Ps. 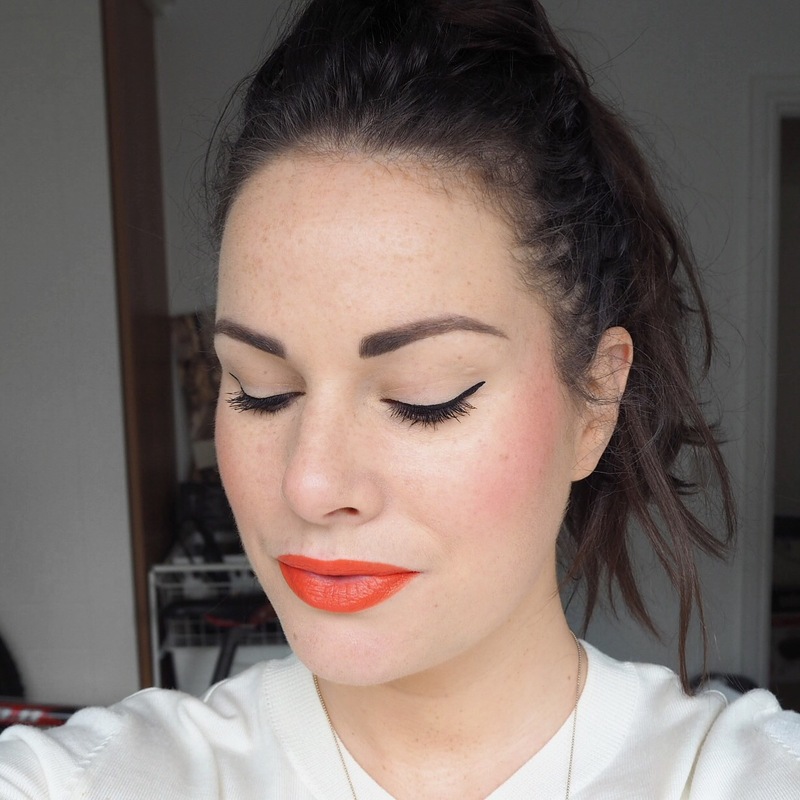 Are you following my Simply Lippy journey on social media? I’m on Facebook, Twitter and Instagram﻿ so make sure you come follow me over the for all my latest pictures and updates. Wow that color suits so well! How beautiful you are my darling.